The HSE state on their website "As an employer, you must protect your workers from the health risks of working with display screen equipment (DSE), such as PCs, laptops, tablets and smartphones." 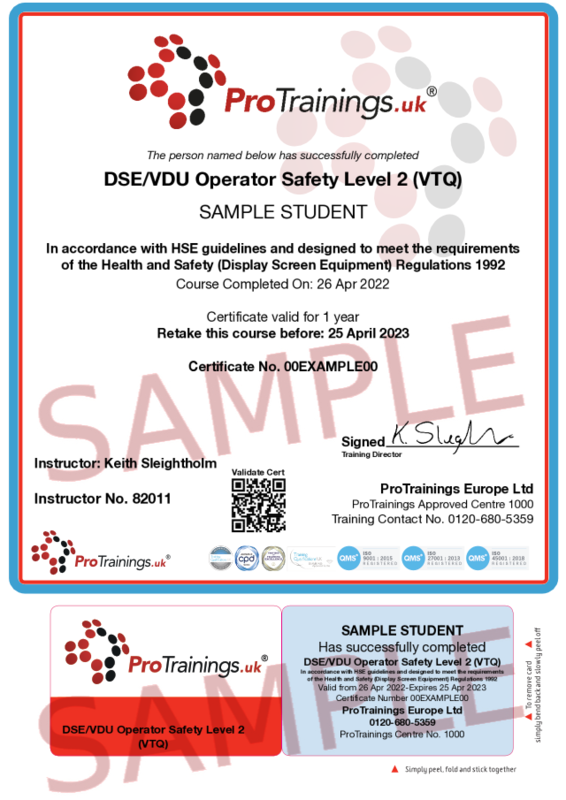 This course is designed to meet Health and Safety (Display Screen Equipment) Regulations 1992 which is aimed at a worker who uses DSE daily, for an hour or more at a time and are classified by the HSE as ‘DSE users’. 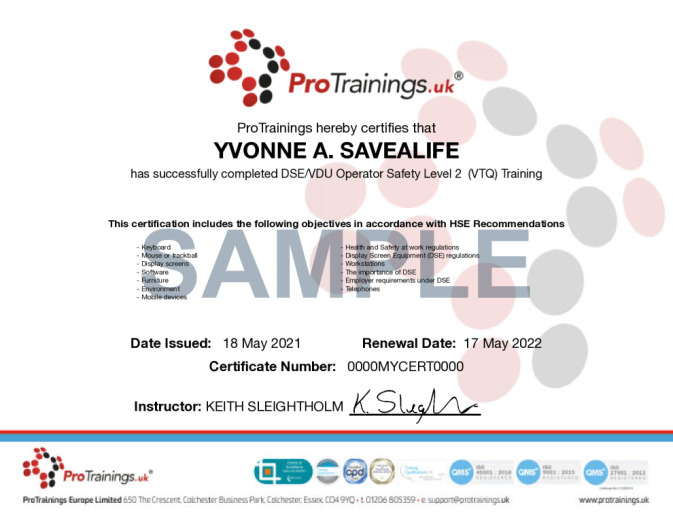 Further training on reducing injury can be gained by completing our Manual Handling course and more information on this DSE requirements can be found on our website. ProTrainings Europe are proud sponsors of Backcare who aim to significantly reduce the burden of back pain by providing information and advice to all people and organisations affected by back pain. This course comes with 2.0 hrs (3.0 class) of CPD, although the time to complete the course online may be less than this. Total course time includes 1 hour of video training as well as knowledge reviews, final test, remedial help and reviewing downloaded material.